We're now offering two different applications depending on what eye tracking device you use or what Windows version you're running. Tobii Experience is our newest main application that will be distributed in the Microsoft Store so that when you plug in a compatible device, you will automatically get the application and drivers for your tracker. Microsoft has taken a new approach to apps which is very similar to apps on phones, and those apps will be published and controlled by the Microsoft Store app for downloads and updates. This functionality will be present in Windows 10 Fall Creators Update 1709 and later. Please note that the Tobii Experience app is currently not publicly available in the Microsoft Store, but it will automatically be rolled out to compatible devices. The Tobii Experience app will not be compatible with our older platform trackers such as EyeX, SteelSeries Sentry, and MSI GT72. 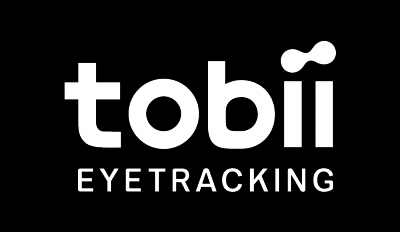 The Tobii Core Software is our main application that will still live among those with older versions of Windows (Windows 10 Creators Update 1703 or earlier) and for some of our eye tracking devices (see details below). You can download the Tobii Core Software here. Where is my Tobii icon?